Have you been taking so many airplanes, that you're like, "Dude, where's my car?" Well we're bringing back the road trip in a big way! So pack up the station wagon (or SUV), fill 'er up, get out those license plate bingo cards, and check out our picks for best road trips from cities east of the Mississippi (or click here to read about our western picks). NEW YORK CITY ESCAPES THE SWEATY SUMMER STREETS BY DECAMPING EN MASSE TO THE HAMPTONS. 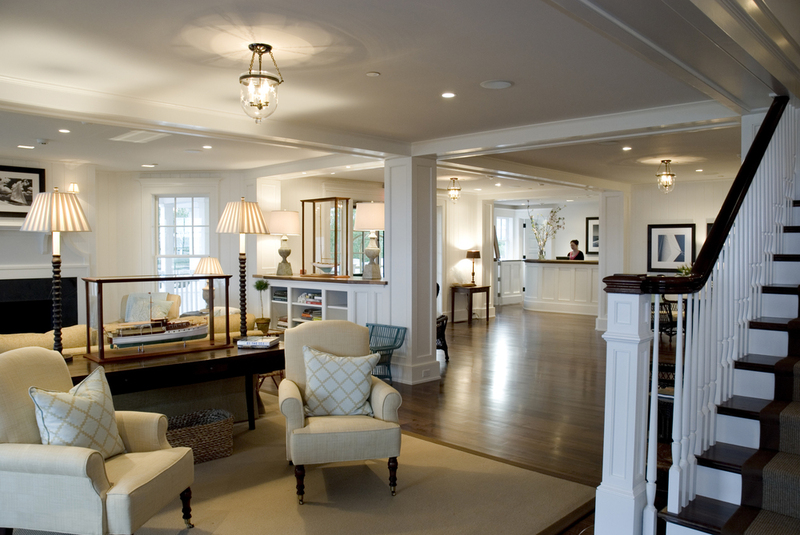 Stay: East Hampton’s c/o The Maidstone, where celebrity appearances are the norm, is supremely family-friendly, from a library stocked with children’s books to a kids’ menu in their hip Living Room restaurant plus rooms and cottages spacious enough for extra cots or cribs. The Swedish-owned hotel, walking distance to East Hampton’s shops and restaurants, also has vintage Kronan bikes outfitted with child seats for cruising the area. Eat: Grey Lady, the Nantucket-inspired eatery will open in Montauk over Memorial Day this summer (they also have locations in Nantucket, Aspen, and the Lower East Side). They will be serving up local seafood favorites like lobster rolls, scallops and chowder. Go early as the Montauk crowds tend to heat up later in the night when party-goers tend to take over the scene. Do: Bring the sunscreen - the Hamptons are all about water sports. East Hampton’s wide Main Beach might be one of the country’s best, but there are also calm bayside waters and ponds perfect for paddle boarding or kayaking. Surfers head to Montauk. For those who would rather sail, charter a boat for the day and stop for lunch at Shelter Island’s chic but family-friendly Sunset Beach. MARTHA’S VINEYARD MAY HAVE THE PRESIDENTIAL STAMP OF APPROVAL, BUT ITS EASY-GOING WAYS AREN’T LIMITED TO RULERS OF THE FREE WORLD. Stay: Edgartown’s Harbor View Hotel has all the amenities of a resort - beach access, a pool, a summer kids’ program - but sits five minutes walking from the town’s cute eateries and boutiques. For those who want to minimize driving, the location is ideal, while the cute cottages provide plenty of space for tikes. Eat: Although Vineyard Haven’s Grace Church is widely considered to have the best lobster rolls on island (they sell them Friday evenings in the summer), we love Larsen’s in Chilmark. This tiny market buys from fisherman that dock at the back door and sell to residents who queue up front for the freshest catch as well as chowder, sandwiches and boiled lobster. BYOB and eat alfresco on the picnic tables outside the store. Tip: the adjacent beach is calm and safe for young children. Do: Martha’s vineyard is crisscrossed by well-maintained bike tracks. The best ride for families is between Edgartown and Vineyard Haven, a mostly flat and paved path that cruises along the coast by the historic jewel box homes of Oak Bluffs and pretty beaches. (Serious bikers should spend a more challenging day up-island sans kids.) Most bike rental business have children’s seats or trailers as well as pint-sized helmets. Martha’s Bike Rental in Vineyard Haven and Edgartown Bicycles do a great job. MARYLAND’S EASTERN SHORE HAS ALL THE TRAPPINGS OF A CLASSIC AMERICAN SUMMER RETREAT: CRAB CAKES, FARMER’S MARKETS, HISTORIC TOWNS AND SAIL BOATS DRIFTING ACROSS THE CHESAPEAKE BAY. 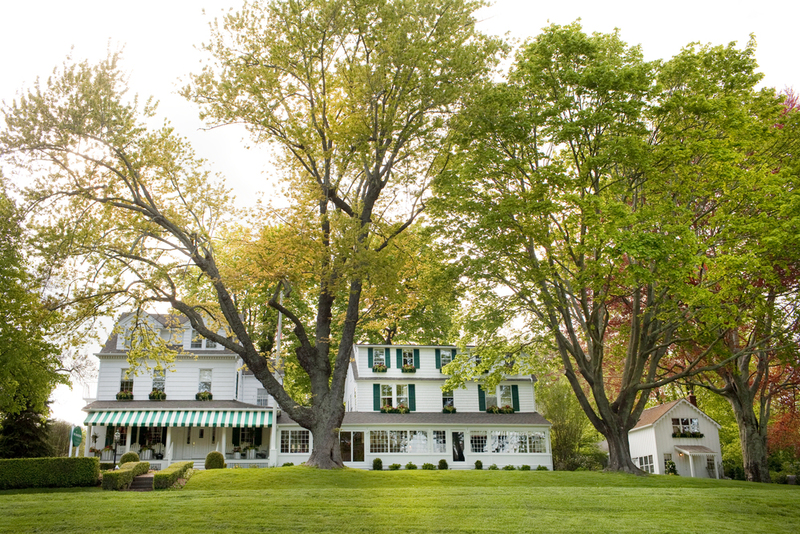 Stay: The Inn at Perry Cabin by Belmond served as backdrop for The Wedding Crashers’ hijinks, but the real-life clientele look less like Vince Vaughn and more like preppy Beltway families. A bike’s ride away from downtown St. Michael’s, the resort’s rooms feature traditional decor - think antique four-poster beds, floral wall prints and overstuffed arm chairs - and a variety of layouts that work well for families. We love the duplex suites as well as the garden rooms, which give direct access to the grounds (good for early risers). Eat: The Inn’s upscale restaurant is ideal for a grown-up night, but with the kids, head into town and book a table at Ava’s Pizzeria. This gourmet pizzeria and wine bar has more interesting dishes (and bottles) to please the parents as well as plain-jane pies for less evolved palettes. The garden patio is perfect on a warm evening. Do: The Chesapeake Bay Maritime Museum occupies eighteen waterfront acres, enough space to house nine buildings, a fleet of eighty historic boats and the 1879 Hooper Straight Lighthouse. Kids will love the hands-on approach to learning about the area’s seafaring history.